Are your windows looking bland, impersonal, or filling your home with bright glare? If your room has lots of windows and natural light, you know how difficult it can be to avoid glare and to dress up your home. Windows can leave you feeling exposed in your own home, make your business feel impersonal or allow too much glare in the room, making it impractical for customers and employees. Create a window to a whole new world with decorative window tint. Discover a wide range of window tinting, as well as some practical applications of tinting. From commercial to residential, window tinting can be the perfect accent. Take a look at all the benefits, types of decorative tinting available, and how to order custom-made window tinting for your home or business. Decorative window tinting can provide many benefits for your home or office. Here are some of the great reasons to consider decorative window tinting today that you’ll be able to enjoy. Think about your home or business, and you’ll be able to find even more benefits. Stylish accent colors and patterns: Choose small, decorative pieces to add a splash of color to the room without blocking your view. Privacy where you need it: Fun patterns can also have a practical purpose. Keep your home comfortably private, while still letting in natural light and warmth. Glare prevention: Blinding sunlight can force you to close curtains and remove the natural light from your home or business. Decorative tinting can help eliminate unwanted glare. Fun and festive designs for holidays and celebrations: From snowflakes to flowers, these themed window tints can brighten up your home, inside and out. Decorative window tinting can be both removable static cling film, or more permanent solutions. Whether you choose a full-sized window tint or an accent line, you’ll be able to customize the level of visibility. This ensures privacy where you need it, visibility where you want, and sleek designs and colors to brighten up your environment. Some designs work well as a single accent window, while others are great for complete coverage. Shop the various styles and designs of window tinting today. There’s a huge variety of tinting to match your sense of style, budget, and practical needs. 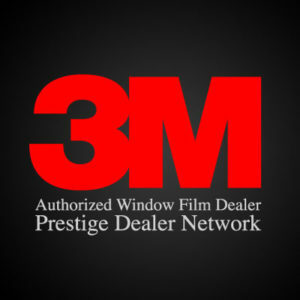 When considering which kind of decorative window tinting will best fit your needs, consider first whether you want to install the film yourself or hire an expert. Professional installation can save you valuable time, and help create a professional look. Be sure to consult your budget, since there are decorative options available at a wide range of prices. Consider the location you want to install decorative tinting. You’ll want to choose an option that is suitable for indoor or outdoor use and utilizes the best amount of visibility or privacy. Whether you’re feeling lost or have the perfect decorative window tint in mind, contact Total Eclipse for more information. You’ll be able to weigh the pros and cons with seasoned professionals, and learn more about ordering and installing premium window tinting. Based in Las Vegas, Total Eclipse can provide you with exceptional service and window tinting that offers the best combination of glare protection, privacy, and vibrant colors and styles. Use decorative trim in your home or business for a great new look and a whole new level of practical convenience. Don’t let bright glare or privacy concerns keep your windows closed-off. Decorative window tinting can be just the touch of practical, personal style that your business or home needs.